When a new virtual-reality version of Minecraft brings her dreams to life, one player must face her worst nightmares. Bianca has never been good at following the plan. She's more of an act-now, deal-with-the-consequences-later type of person. But consequences can't be put off forever, as Bianca learns when she and her best friend, Lonnie, are in a terrible car crash. Waking up in the hospital, Bianca is faced with questions she's not equipped to answer. 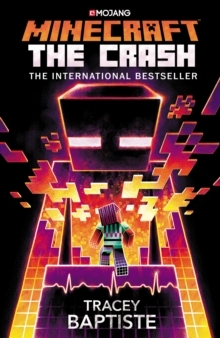 She chooses instead to try a virtual-reality version of Minecraft that gives her control over a world at the very moment she thought she'd lost it. There she encounters a glitching avatar she believes to be Lonnie. Bianca teams up with Esme and Anton - two kids also playing on the hospital server - to save her friend. Is Lonnie really stuck in the game? And can Bianca help him back to reality?